Harlem is as much a place as a myth. 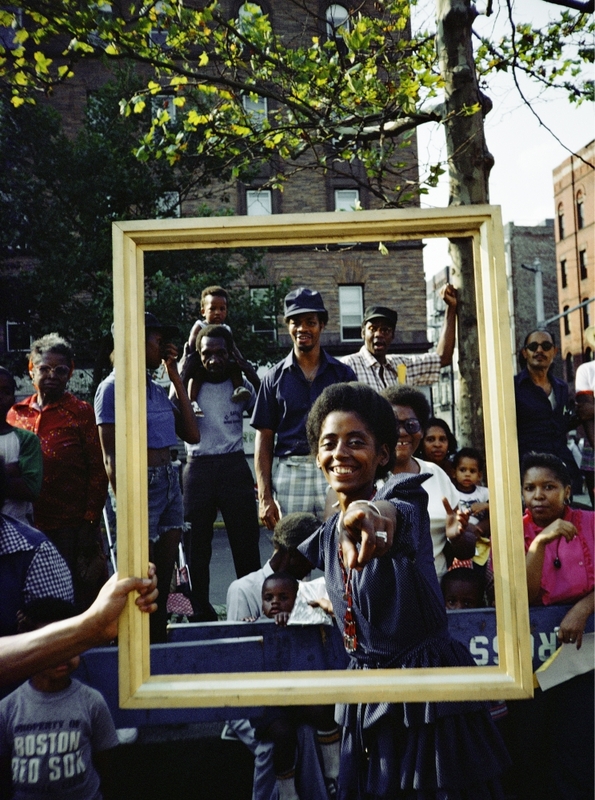 Throughout the 20th century, this northern Manhattan neighborhood has been written into history as many things; however, in this context, Harlem is ultimately and unceasingly, a black creative mecca, a place whose rich social and cultural fabric has been woven out of the abundance of people of African descent worldwide who have come together in its streets, salons, parks, restaurants, and clubs, influencing generations of artists, musicians, and writers. Harlem: In Situ explores the depth and complexity of this renowned neighborhood, highlighting the work of some of the most important visual artists working from the late 1920s through today. Initially inspired by the Addison’s trove of Harlem street-photography, which includes significant bodies of work such as Harlem Document (1935) by Aaron Siskind, Harlem Heroes (1930–1960) by Carl van Vechten, Harlem, USA (1975–1979) by Dawoud Bey (a three-time Elson Artist-in-Residence at Phillips Academy), 1920s–1950s (Harlem) by Lucien Aigner, and The Sweet Flypaper of Life (1984) by Roy DeCarava, this show also includes prints from the collection by Romare Bearden, Elizabeth Catlett, James Lesesne Wells, and Vincent D. Smith, as well as several key works by nearly a dozen artists, working across time and media, including Charles Alton, Jordan Casteel, Aaron Douglas, Miatta Kawinzi, Alice Neel, Lorraine O’Grady, and Kehinde Wiley, that will come to the Addison as loans from sister institutions. These artists and their works investigate the legacy and trajectory of Harlem, which encompasses mass migration, opulence, cultural renaissance, depression, demise, empowerment, pride, and gentrification.